Ladies Van Dal leather shoe. Sizes 3-8 incl half sizes. 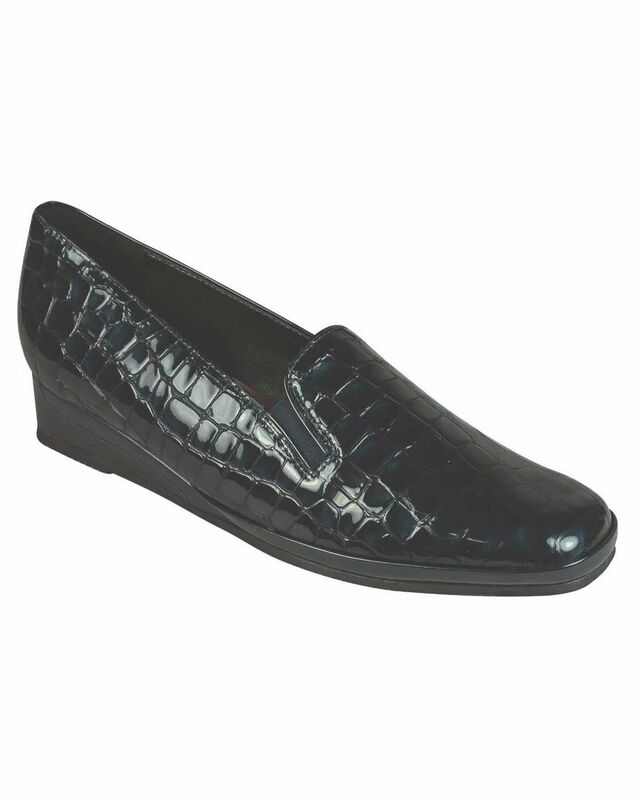 Ladies distinctive antique mock croc patent leather wedge shoe, with the elastic on front gives added comfort. Has a manmade sole with 1½“ heel. D fitting.